NASCAR has become a club of wealthy sports teams with the rules written to keep out the average JOE RACER. Somewhere along the line the cars have been transformed into upside down airplanes. To revive NASCAR it may take a step backwards to take some of the technology away. Tires that fall off in 5 laps needs to be addressed. Take away the downforce and allow the drivers to drive and not just keep the throttle to the floor and aim the car (not quite that simple but gets the point across). By simplifying the rules, allowing more wheel well clearance to prevent cut and overheated beads and lowering the costs more cars will show up at races that is if the teams that bought franchises are no longer guaranteed starters and actually have to race their way in to qualify. Daytona this year has 40 cars. Why bother qualifying???? EVERYONE IS IN. If changes are not made quickly NASCAR will go the way of INDY CAR. Racecars glued to the track with small fields of cars and few fans in the stands. Remember NASCAR was about competitive racing not just going fast. Needs more interesting and informative articles or videos. Be cool to see more on history of nascar as well as Direct information from teams and drives. It help if more top notch sport journalist would get involved and enthusiastic and passionate about nascar and would give that good reporting. Tv has done good with Gordon and Earnhardt jr. getting involved. What they bring is real passion to the broadcast. And they help a viewer how many think driving in circles is boring or even stupid learn about how intense it really is. This app needs that. But gives you information about practice and qualifying if your at work or something. And the option to the in car cameras is so cool as well as the scanner access. But pretty dull through week. Revised for 2018 - WOW! It’s nice to know that these reviews are taken seriously. Thanks to all who made the improvements for 2018. I was one of the biggest critics last year for the endless advertisements in a PAID app (see my last years review below). You folks have outdone yourselves. Not only have the ads been removed, the live experience has gotten even better! Radio chatter and in-car cameras are actually slightly AHEAD of the TV broadcast. 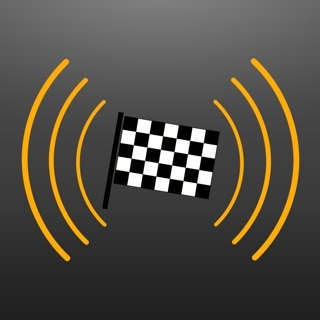 I wholeheartedly recommend this app to everyone who considers themselves a NASCAR fan. It truly is the next best thing to being at the track! Keep up the great work and I’ll be a subscriber for many years to come. I use the live content for almost every XFINITY & Cup race. Although there's a long delay between TV coverage and driver radio chatter, it is well worth the price. HOWEVER, the rest of the app content is FRUSTRATING!!! Most other apps remove ads with a couple extra bucks. They charge $25 and STILL force ads with every video clip and put links to additional ads around every screen. PLEASE remove the ads or I'll skip this app next year.